A lot of stone has been cut since Thomas Nolan (1847-1932) began his trade as a stonemason in circa 1885, and from that labour intensive era started a business that has spanned four generations to date. Today Carlow Stone Centre continues in that proud tradition with one of the most up-to-date workshops in the country, including the very latest water-cooled diamond cutting machines. Together with a highly experienced team of stonemasons and computer aided design tools (CAD) they offer a custom service to Architects, Building Contractors and Private Clients. The Nolan family manage the current business (est. 1980) located at Ballykealy, Ballon and Kennedy Street, Carlow, representing a direct line of four generations of stonemasons. Producing various stone products from traditional headstones to architectural pieces, carved marble fireplaces, quartz kitchen worktops to commercial stone cladding for modern buildings. 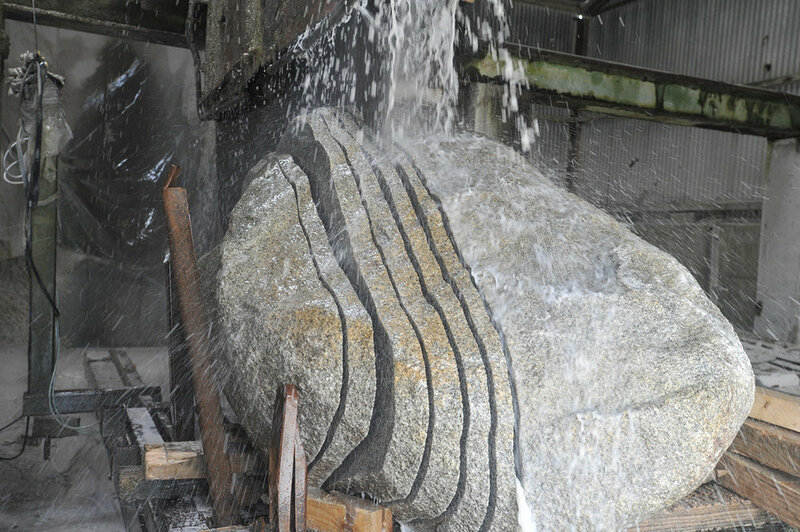 Working with indigenous Carlow limestone, granite and imported marble from all over the world with the emphasis on natural Irish stone and expert craftsmanship.